Arts News: We Discuss "Skeleton Crew" and "SCT Sings"
Rick Dines and Angelia King from Springfield Contemporary Theatre. 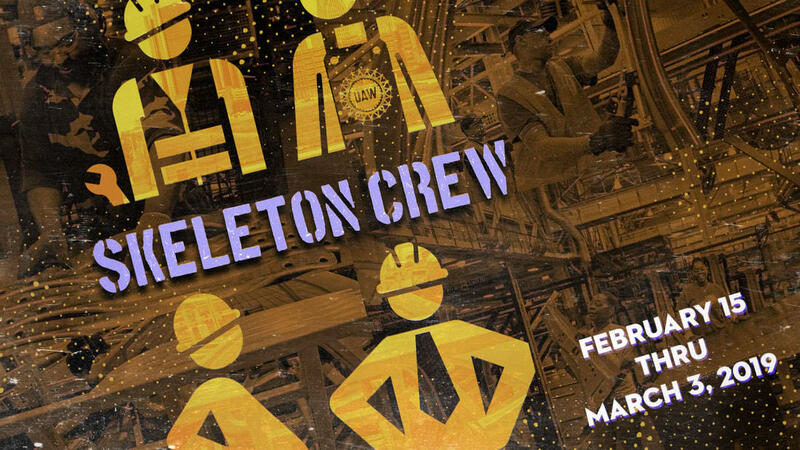 Springfield Contemporary Theatre presents the play "Skeleton Crew" through March 9 at SCT Center Stage, and their new concert series "SCT Sings." Says Dines, "Dominique Morriseau is a wonderful, wonderful, relatively new American playwright--she's been writing and working for maybe the last decade, but really has found a lot more success in the last couple of years. She's a Detroit native, and has written these three plays--they aren't sequels to each other, but are three plays set in Detroit, set against the backdrop of major points of Detroit's history over the past century. The first is set in the late 1940s against the backdrop of the gentrification of the jazz area of the city (Paradise Alley) and a lot of the jazz clubs being pushed out. The second is set against the backdrop of the 1967 riots. And this third play is set against the backdrop of the decline in the auto industry in early 2008 that precipitated the bailout of the industry." Among the other characters, there’s Shanita, played by Christina Gardner, who has to decide how she’ll support herself and her unborn child if the plant folds; she’s three months pregnant as the play begins. Mikil Hernandez plays Dez, a young man who has been saving up to open his own auto shop, and needs the income from the auto stamping plant to help make his dreams a reality. Reggie, played by Jon Herbert, came up through the ranks as a fellow assembly-line employee with the others, and has now been promoted to management—shift foreman. “He’s caught between his allegiance to these people he’s worked with for so long, and management, and having to navigate the waters between the two,” according to director Rick Dines, who adds that Jon Herbert is giving a “marvelous performance” in the part, as are the other cast members. “The characters are unforgettable and really delightful, and these performances are great. And there are lots of little twists and turns through it that you don’t expect. This production contains adult language and content. It was going to open last night, but due to the weather SCT decided to make Saturday night the opening night of the run, which continues through March 9. Performances are Thursdays through Saturdays at 7:30pm, Sundays at 2:00pm; Thursdays are “Pay What You Can” nights. There will be two post-performance Talkbacks with the show's cast and director after the Sunday Feb.24 matinee and the Thursday Feb.28 evening performance. Tickets range $24-$27, with $10 student rush tickets. “SCT Sings Lynn Ahrens and Stephen Flaherty” will be performed Sunday and Monday Feb. 17 and 18 both at 7:30pm at SCT Center Stage; tickets are $15 seniors and students, $17 adults, with the usual $10 Student Rush right before curtain time. For information on, or tickets to, either show, call the SCT box office at 831-8001 or visit www.springfieldcontemporarytheatre.org.